If you are running a retail store, you must think about the ways in which you can increase your sales. For this purpose, you must grab the attention of your customers. 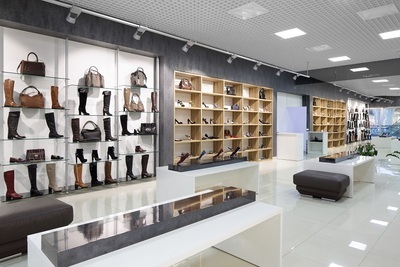 The best items of your store should be displayed properly. They should be noticed clearly by the customers. This is the reason why you must purchase display cabinets for your store. Display cabinets can help you to advertise your products and through these cabinets, you can showcase your products with discount offers. You will get potential customers, they will notice the products through these cabinets, and they will purchase the products from your store. Whenever you go to a shopping mall, you may find many display cabinets showcasing varied items like clothes, shoes, accessories, jewelries, mobile phones etc. These cabinets are regarded as display cases made with transparent glass, acrylic or plastic. They are designed specifically to display items for viewing. They are commonly found in retail stores, exhibition, restaurant, museum and even houses. The items found in museum display cabinets are usually cultural artifacts meant for temporary exhibition. However, the objects displayed in a retail store are normally offered for sale. Labels are often found with them to provide information like price, description. There are varieties of display cabinets available in the market. They may be found built-in or as freestanding on the floor. Usually, the retail shops use such freestanding ones which again can be classified into three groups. 1. Counter cabinets: These showcases are framed to display items through one side that is the customer side. The other side is the clerk side through which the objects are accessible. 2. Middle floor cabinets: They are designed to display goods from every side. So, they are generally set in the middle portion of the room. 3. Wall cabinets: This type of display showcases is fixed to the wall. The products are displayed as well as accessed from the same side. The sight of display cabinets is very common in case of retail stores. Such sort of shelving option offers a wide array of benefits to customers, employees and employers. The cabinets have the quality to enhance their entire retail experience. In fact, they are regarded as a fixture in commercial establishments. 1. Improved shopping experience: The customers prefer a shop where they can buy things without any hassle. The glass display cases are designed considering the convenience of the customers. They can easily see what is being offered to them. They can easily notice the products and their features through these display cabinets, and they generally get attracted by these products. If you decorate your display cabinets with some colourful templates and project your items in a proper manner, then it will help you to increase your sales. 2. Effective for selling products: Your customers will be interested more to the visual glimpse of the objects rather than your detailed product description. The moment they enter in your shop they are exposed to a wide assortment of products. 3. Provide security to the items: These display showcases come with premium quality glass and locks which are strong enough to resist any damage or pressure. The thieves would require tremendous effort to steal the displayed goods. Again, some of the cabinets are designed with alarms. They will make you aware if any attempt is made to steal products. Display cabinets are available with customized designs to pull the attention of the customers. They can create a flawless and classy look in a sophisticated atmosphere.